I got a reminder Saturday that the Sunflower State Crankers clinic in Hutchinson is just a month away, January 26. 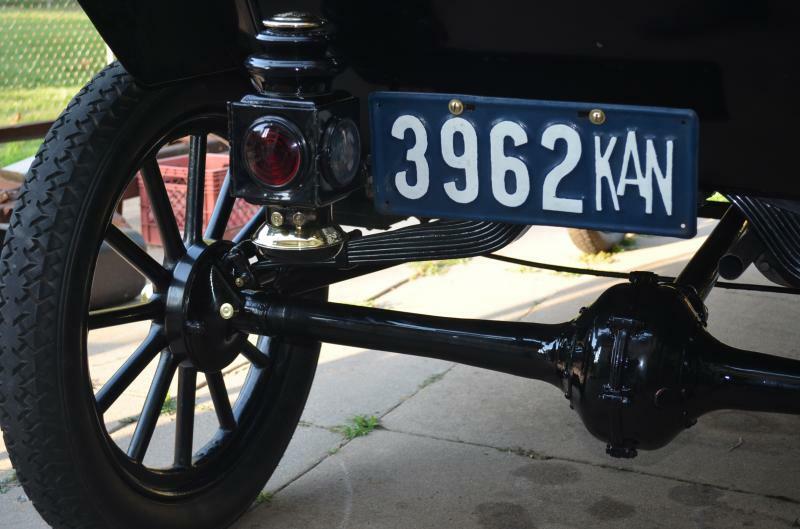 This time the program will include Verne Shirk discussing the Model T rear axle. I've always found the clinic well worth the two-hour drive and the $5. Steve can you bring your dog along to video it for the rest of us? The Rear Axle portion of the Sunflower State Crankers Clinic is actually a project that the Flatland T's of Kansas Chapter MTFCA has been working on over this past year. One of the things you will see is a Cut-Away Rear Axle our Chapter built to demonstrate the inner workings. After the Clinic, the Cut-Away axle will be donated to the McPherson College Auto Restoration program as a teaching aid. There are lots of Model T people who attend this Clinic. I'm going to guess there were close to 100 people there last year. The Votech's indoor facilities are perfect for such an event. Our group is looking forward to the event. It's great Model T fun when it is cold outside! Is this a one day clinic? or include the entire weekend? It's Saturday only, though a lot of folks who come long distance arrive Friday afternoon and go to dinner Friday evening. David, the clinic has evolved into a Friday night with a trip to Yoder for a meal and for most people who have a drive greater than 2 hours spend Friday night in Hutchinson. For the last 5 years because of my job now being more and more unpredictable I take Friday afternoon off so I can be in town by 5pm so I can participate. The unspoken part of this hobbie is the social interaction with fellow Model T'ers. Lucky for me this group by and large is made up of the best people. I go because of the people then because i'm likely to learn some more about the Model T.
Sorry Mike, that was the phone number of the Comfort Inn on 17th st. Thanks for the info, I'll keep an eye on the weather and roads. It's a 10 hr driver for me but I'm retired what else have I got to do with my time and since overhauling the rear end and axles is first on my task list I think it would be time well spent. You midwesters have all the fun..